For casual kickabouts, warming up or wearing casually, make sure you're wearing these Nike Squad Football Shorts in Black and White. 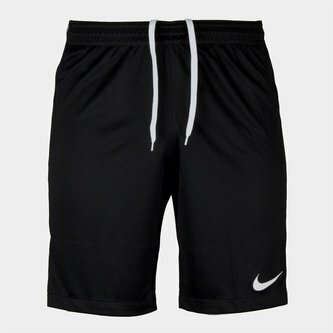 Made from 100% polyester, these football shorts come with Nike's Dri-fit technology which keeps the wearers dry and comfortable as it wicks moisture away from the skin. Ventilated side stripes bring extra breathability and cooling. Held in place with an elastic waistband and secured by drawstrings, make sure you're ready for the big games in these Nike Squad Football Shorts.